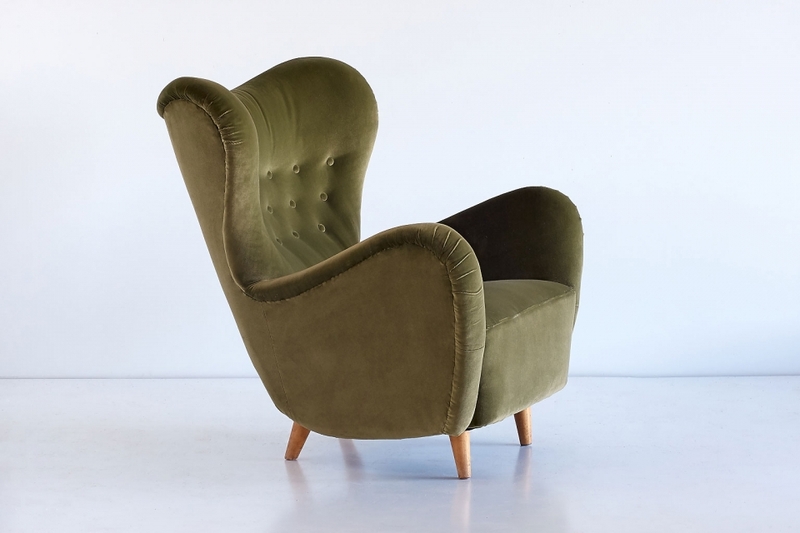 This rare high back armchair was designed by Otto Schulz and produced by Boet in Göteborg, Sweden, 1946. 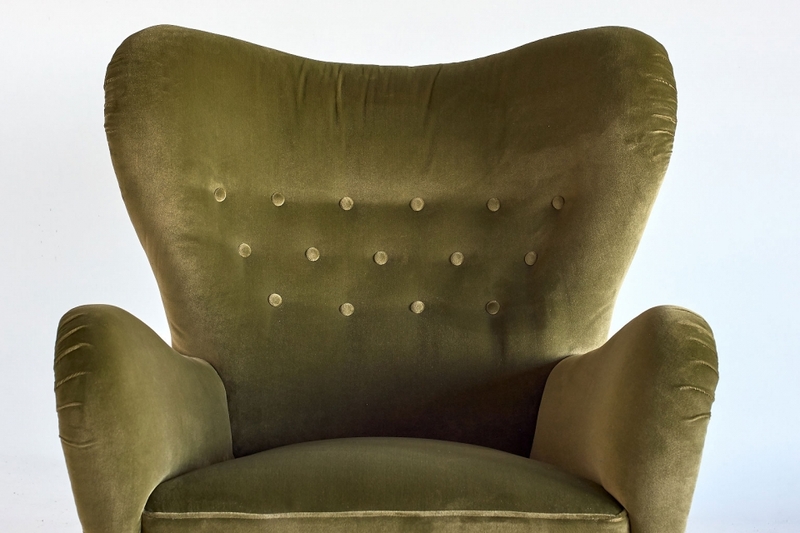 The elegant organic lines of the design create a striking Silhouette. 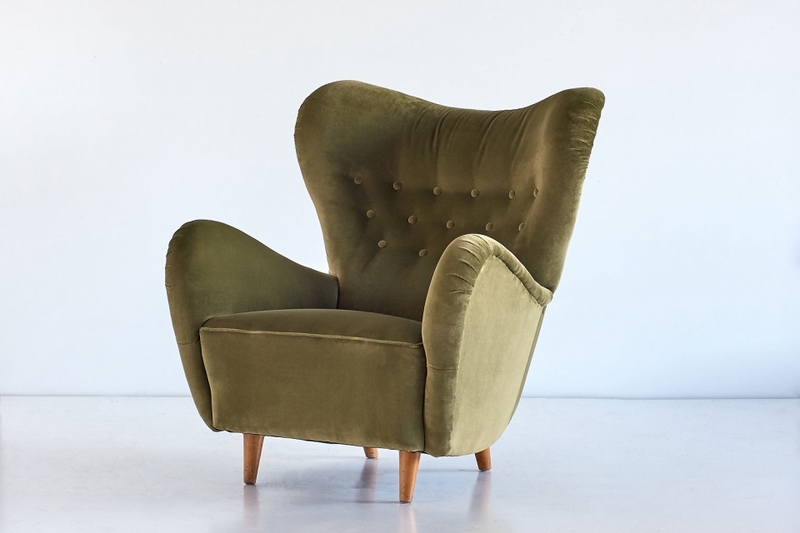 Its generous proportions, the high back and the soft green velvet upholstery make this a sumptous and very comfortable armchair. The chair is in a very good condition.